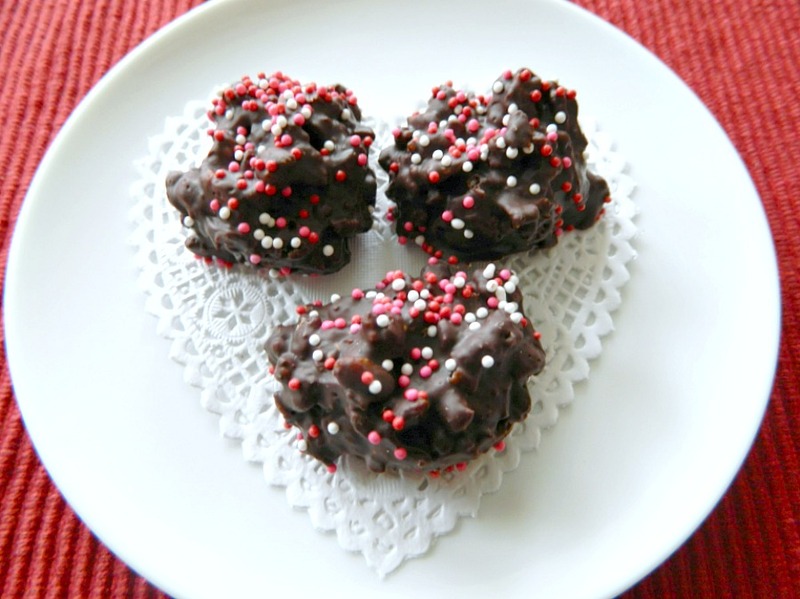 Dark Chocolate Crunchy Clusters – These gems only have 3 simple ingredients. Double the chocolate makes double the delicious. Have fun making these for the people you love. Enjoy the chocolate deliciousness! 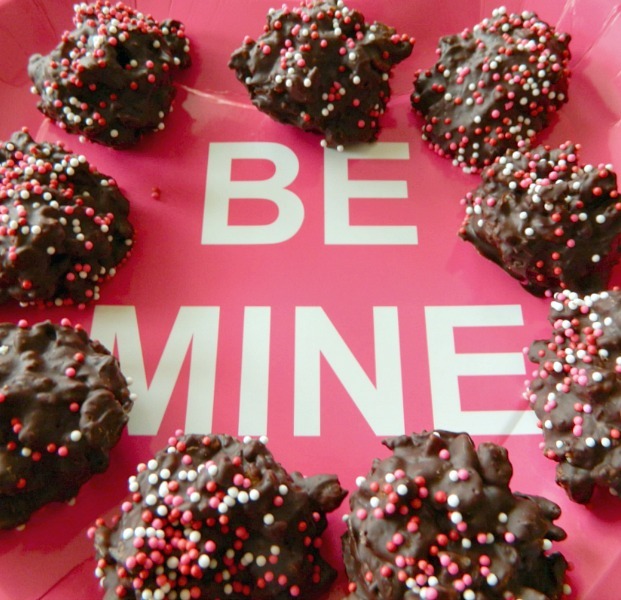 You’ll be able to whip this up in no time at all and have these crunchy candies waiting for that special person. Not only is this easy to make, it’s also so yummy. I make these every Valentines Day for my family. They never get tired of these crunchy clusters. Even when I make other chocolate treats, these seem to always get eaten first. 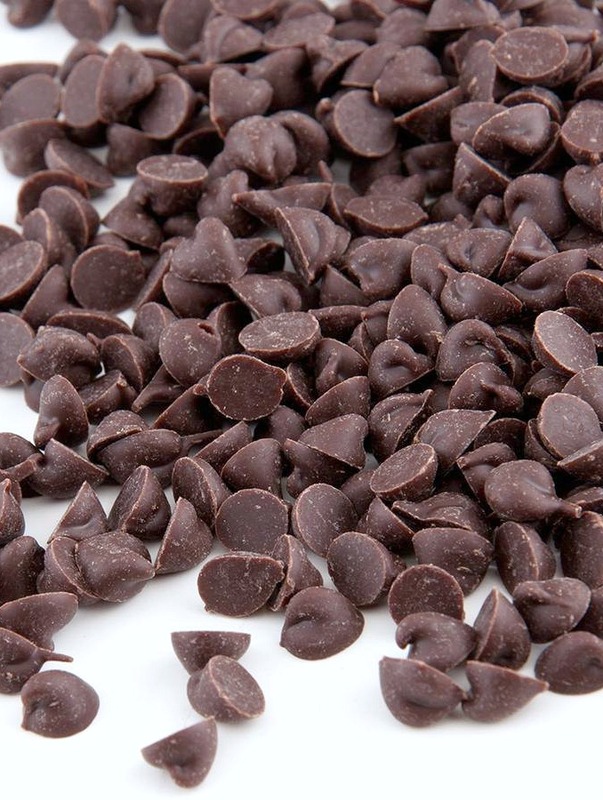 You’ll love the crunchy chocolate cereal mixed in with the creamy dark chocolate. Melt the chocolate in the microwave for 30 seconds. Take out and stir. Put back in microwave for an additional 10 to 20 seconds. Do not over heat. If some of the mixture is still not yet melted, stir up until nice and glossy. Add the cereal and stir gently. Have a cookie sheet lined with wax paper ready. Spoon out 14 candies with a teaspoon. Cool in fridge until firm for about a half hour to an hour. That’s it! When ready to eat let candies sit out at room temperature for a few minutes to soften up. Enjoy this rich treat! Recipe Note: Keep in airtight container in the fridge up to 5 days. Enjoy the creamy, crunchy, chocolate deliciousness! 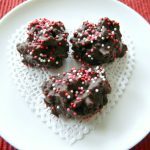 Dark Chocolate Crunchy Clusters - These gems only have 3 simple ingredients. Double the chocolate makes double the delicious. Have fun making these for the people you love. Enjoy the chocolate deliciousness! 1.Melt the chocolate in the microwave for 30 seconds. Take out and stir. Put back in microwave for an additional 10 to 20 seconds. Do not over heat. If some of the mixture is still not yet melted, stir up until nice and glossy. 2.Add the cereal and stir gently. 3.Have a cookie sheet lined with wax paper ready. Spoon out 14 candies with a teaspoon. 4.Cool in fridge until firm for about a half hour to an hour. That’s it! When ready to eat let candies sit out at room temperature for a few minutes to soften up. Enjoy this rich treat!